Salomon Rondon's stoppage-time header denied Stoke their first Premier League win of the season as they were held to a 1-1 home draw by West Brom in ex-Potters boss Tony Pulis' 1,000th game as a manager. Mark Hughes' side had looked set to end their four-match losing streak in the league by claiming all three points when Joe Allen opened the scoring by bundling the ball home in the 73rd minute. But in the end they had to settle for one, and a total of two from six games this term, after Rondon converted late on from a corner. It made for a satisfying conclusion to his return to the stadium for Pulis, who is still yet to lose against his former employers in five meetings, while the pressure continues to mount on his successor Hughes. His men are, at least, up a place and off the bottom of the table. Stoke fans showed their appreciation for Pulis just before kick-off as they gave him a warm reception as he emerged from the tunnel, with the 58-year-old clapping back and waving to all sides of the ground. There was not much for the home or away fans to cheer about in the 45 minutes that followed, with real chances to break the deadlock very much limited. After Erik Pieters went down in the West Brom box under the attentions of Matt Phillips and had his claims for a penalty waved away by referee Martin Atkinson, Stoke came close to scoring in the 25th minute when Glen Johnson lifted the ball over Ben Foster and Craig Dawson did well to head it away. At the other end, Rondon was allowed to turn and shoot twice on the edge of the box and once inside the area, but each effort missed the target. The hosts applied more pressure as the second half got under way, with Allen's header being deflected over by Dawson and Ryan Shawcross nodding a corner wide at the back post. Pieters then once again tumbled in the box when feeling contact from Phillips, looked at Atkinson and saw the referee dismiss his spot-kick appeal. 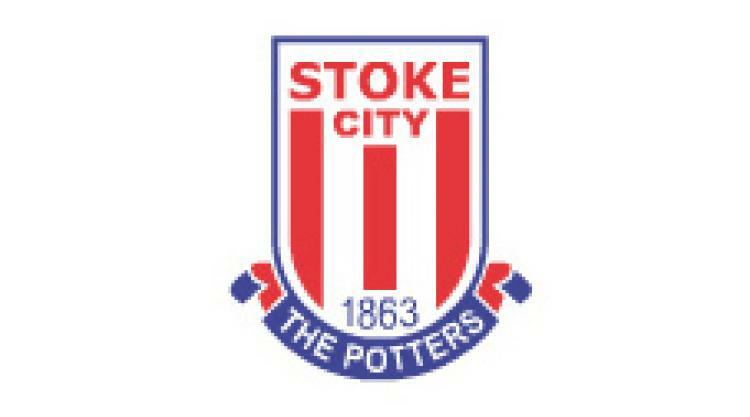 Soon after, Stoke's Premier League debutant goalkeeper Lee Grant palmed away a curling shot from Nacer Chadli, before Potters substitute Peter Crouch, brought on for Wilfried Bony, prodded an effort wide. The home side's growing momentum finally yielded a goal when Xherdan Shaqiri crossed from the right, Jonny Evans' headed attempt at a clearance fell to Allen and the Wales international finished from close range. Four minutes later, Stoke were grateful to Grant as he pulled off a smart diving save to keep out James McClean's header. But they then saw Grant beaten at the death as Rondon connected with a corner to bring things level.